One of the many magnificent aspects I thoroughly enjoy about living along Florida’s Gulf Coast, or really in North Florida in general, is our plethora of high end antique malls. 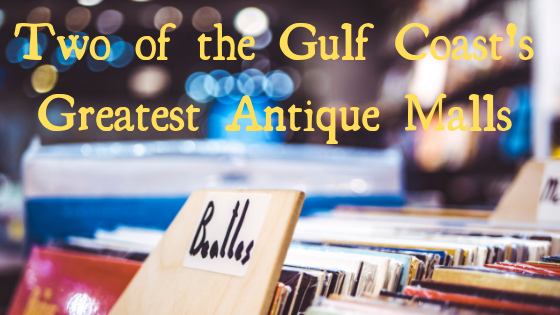 The city of Pensacola is home to Florida’s absolute largest antique shopping complex, the internationally famous Miles’, which I’ll get to in a little bit, but first, not far down the road, in Gulf Breeze, lies another one of my favorite spots, The Iron Gargoyle Antique Mall. This colorfully named, twelve hundred square foot galleria is officially located in Gulf Breeze, but in a section the locals refer to as “Midway”, as the stretch of land is located halfway between Gulf Breeze and the great and majestic city of Navarre, Gulf Breeze’s neighbor to the east. Housed inside a massive fabricated metal red building, reminiscent of a barn or silo you'd see in the countryside, this wonderful spot is impossible to miss along the side of scenic Gulf Breeze Parkway (which is also known as the FL-98, or highway 98). What helps makes The Iron Gargoyle such a must see location, besides the helpful and knowledgeable staff who are always more than happy to help answer any question (or carry any overly heavy items), is just the fact at the The Iron Gargoyle, everything is sold. What do I mean by everything? I literally mean everything. If we are talking housewares, you’ll find everything from furniture (modern, vintage and antique of course) to even doors, window shutters and more. One booth I always make a point to visit is a haven of cast iron cooking implements, from pots, pans, muffin tins and beyond. If you’re anything from an aspiring cook to a master chef, you’d be remiss to not check out the wide variety of cookware offered within. However, what I have mentioned so far barely touches the surface of what you can find within these terrific red walls. While everybody has their own personal idea of the ideal feng shui a house or room should have, I personally love being able to glance at gorgeous and meticulously created artwork in whatever room I happen to be in at any given time. I love all forms of skilled paintings, sculptures, statues, ceramics, porcelain, glassworks and really any and every medium of art known to man, and luckily for me, at The Iron Gargoyle, they sell pretty much every medium of art known to man. The pictures speak for themselves, but remember, The Iron Gargoyle is an incredibly popular spot for both travelers and locals alike. Item turnover is often unbelievably quick, and as these are one of a kind pieces of history, and not mass produced factory art you'd find at Target or T.J. Maxx. With my supreme love of fashion, I’m surprised I haven’t mentioned the clothes at The Iron Gargoyle yet, with the fantastic selection of men’s and women’s clothing and accessories offered by the various sellers renting space at this pristine antique mall. I don’t mean kitchy t-shirts and bleached jeans when I say clothes either; I’m talking about designer clothing from decades past still in immaculate condition. Tuxedos, suits, slacks, men’s and women’s coats and hats, dresses, skirts, purses, as well as every type of jewelry imaginable are just some of the high end fashionable dealings offered at The Iron Gargoyle. In some ways, walking into The Iron Gargoyle is akin to walking through a time machine, as so many of the items sold there, much of the clothing included, are so incredibly well preserved you’d swear they were created yesterday. The Iron Gargoyle is also your one stop shop for restorative products, on the off chance you yourself have some vintage or antique pieces which could use some cleaning up. Howard’s Products are sold in mass amounts over at The Iron Gargoyle, and if you’ve ever used them, you know why. A personal favorite is their Restor-A-Finish, which comes with a shade for every major type of wood, and mahogany, cherry wood, walnut, golden oak, maple pine and neutral are always guaranteed to be in stock at The Iron Gargoyle. When your wood has become dull, just a small amount of their Orange Oil or their Feed-N-Wax products will bring back a healthy, happy shine to any piece of old furniture or wooden art. For your faded metal needs, Howard’s Products also produces a silver polish as well as a brass and copper polish can restore family heirlooms and jewelry, despite how greasy or oxidized your metals have become! With their full selection of Howard's Products, at The Iron Gargoyle, you'll find beautiful pieces to fill your home with, and you will have the ability to keep them looking new for decades and decades to come. Even though I can spend hours walking around The Iron Gargoyle, I won't make you read me praising this glorious antique mall for hours. I do want to talk a bit about one of my other favorite spots for vintage and antique art, Miles. Open seven days a week, next door to the Carmike Theatre and across the street from Sacred Heart Hospital and Pensacola’s Cordova Mall. What truly amazes me is that Miles Antique Mall, at least in my opinion, is a better all around shopping experience than its neighbor Cordova Mall. Superior to a place with high end stores such as Dillard's, World Market and Aldo, now that's a compliment and a half. They also offer layaway and delivery, so you have absolutely no excuse in letting that piece you've been eyeballing to get away; just like at The Iron Gargoyle, the inventory at Miles changes by the hour, as priceless items sell constantly and consistently, while the stalwart vendors are committed to continually bringing in new and fantastic merchandise. With the size of some of the vintage and antique furniture and artwork the various vendors of Miles offer, the fact they offer delivery is often the deciding factor in whether or not to make a purchase. And although, it may be a given, but their staff, even beyond their delivery drivers, are all top notch people. Customer service is the name of the game at Miles, and they are most certainly masters of what they practice. With over sixty five thousand square feet stretching across the showroom of Miles Antique Mall, one can grab a coffee (and yes, they are right next door to a Starbucks) and just wander for hours and hours and hours. There must be hundreds of thousands of items to peruse through, but their stock doesn’t end at vintage and antique art, furniture and collectibles, but Miles is jam packed with all sorts of homemade arts and crafts made by some incredibly talented local artists. Modern clothing and artistic abstract pieces adorn the hallways, mixed amongst the old timey artifacts one goes to an antique mall to view and purchase. But the one item you wouldn’t expect to find at the glorious Miles Antique Mall, a good night’s sleep. Before the Miles family decided to open the largest antique mall in all of Florida, they were highly respected furniture makers. The memory foam mattresses made at Miles were so popular in fact, that they are being produced yet again nowadays. Their mattresses aren’t just well made, but their are surprisingly affordable, and Miles is nice enough to offer free shipping nationwide on any of their fine quality bedware. Next time you are out, browsing through the massive selection of art, furniture, clothes, antiquities and more, don’t forget to check out what could possibly be your next mattress. One of the reasons I’ll forever be a resident of the Gulf Coast are places like The Iron Gargoyle and Miles Antique Mall. I do say that they are two of the best antique shops, but I want all who read this to understand, there are a plethora of other shops and antique malls through Escambia and Santa Rosa county impressive beyond belief. 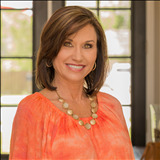 If you love to shop, hunt for antiquities, and find those rare, one of a kind treasures you always needed but never knew existed, this is just yet another reason why here in the Gulf Coast, we live where you vacation.